The toughest of circumstances in family businesses are when these are led by egocentric founders who struggle to admit a mistake. Bringing back struggling businesses to life is possible when people are put first, says Anthony Sammut. 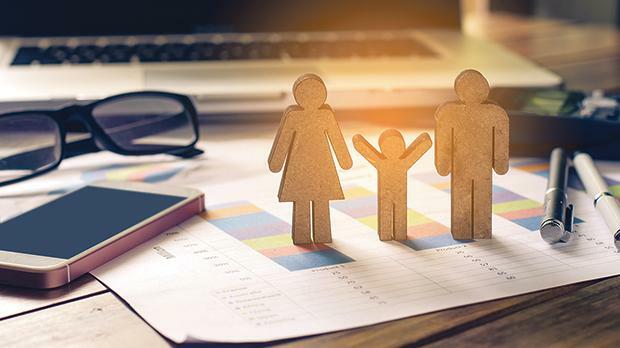 I come from a family business background (no surprise, given that 95 per cent of our economy is comprised of SMEs) and have always harboured a fascination for the dynamics and power balance in family businesses. Lou Holtz’s famous “It’s either you are growing, or you are dying” is indeed the case for family business. My quest for understanding the constituent elements of success or failure in small business remains an integral part of my professional life, spending days with business owners who are often confused and unclear as to what led their business into a state of financial or operational difficulty. Malta’s insular and micro-economy context renders our market a singular case and certain challenges are admittedly far harder to address. Having said that, the toughest circumstances are often found within the organisation – egocentric founders who refuse to let go of their control, who find it very hard to admit mistakes, who blame everyone else but themselves, to the extent that key people are left with no viable option but to leave. Sometimes the job of the turnaround specialist becomes a slow and private process of leading the founder to understand that the cause of the problems lies in his very own attitude. If a company wants real change, it needs to first put the right people in place to make that change possible. The belief that people come first must be the fundamental principle on which the growth of any organisation must be built. An organisation wanting to start afresh needs to start off by setting out the basic values that any employee of the organisation must believe in to be able to fit into its vision. It is only when a solid corporate culture is in place that we can start breathing back a renewed life. There can never be a one-size-fits-all model but, throughout my career in boardrooms, I have come to learn that a set of values, put together under the acronym ‘Life’ can steer ailing small businesses back to health. These four values, intrinsically linked together, are learning, integrity, fairness and effectiveness. Learning. A positive attitude towards ongoing learning and self-development is surprisingly a very rare value in SMEs and family businesses. On-the-job learning does not substitute for a culture where every individual strives to find a better way of doing things. Business owners need to understand that irrespective of the fact that they own the business, and consequently do not carry the risk of being fired or demoted, they too need ongoing development. Integrity. ‘Putting the right people in the right place’ is easier said than done in a family context. Here, ‘integrity’ means including a transparent, open and objective assessment of the skills and capabilities of family members working in the business, especially those expecting a future management role. Being the son of the boss does not mean you have what it takes to lead a company. Business owners need to identify skill discrepancies of family members and adequately address them. Equality between family members must be seen as equality of opportunity not of outcome. Equality of outcome often leads to what I call ‘executional deadlock’ and bleeds away the vital elements that guarantee sustainability, prosperity and ultimately success in the life of a small business. This is best assessed by an outsourced specialist adviser who has the experience to identify potential without the problems related with familiarity. Fairness. Another underlying value that contributes to most decision-making processes that every leader must face on a regular basis. There needs to be fairness towards one’s self, fairness towards others and fairness towards the achievement of the organisation’s goals. Therefore, I firmly believe that people must not be treated equally – they must be treated fairly. Gaps often exist between family and non-family employees who, many times, are never informed of the company’s plans. Similarly, many family businesses fail to conduct performance assessments of employees. Fairness is not about ‘being nice’ to employees but being honest with them to the extent of telling them when they no longer fit in the company’s plans. Effectiveness. This value refers to a shift from effort spent on a job to the appraisal of that effort and its outcome. Effectiveness is not how much or how hard an individual works but about converting intelligence, knowledge and work into results which set the limit of what can be achieved. Effective family businesses are those that value and appreciate formality, regular briefings and communication channels. These are just observations inspired by my daily contact with many family businesses. However, the qualities referred to are universal values that apply to all forms of business, no matter how small or big. In the end, every business is a legacy that deserves to be protected. This protection may start by having a trusted partner who can help you think and transform your vision into reality. Dr Anthony Sammut, a legal professional and corporate adviser specialising in small and family business, is a partner at Nouv, a company that hand-holds small businesses, helping them make sense of their future.